I really like this......What program do you have that lets you to do this?? I really like this.........What program do you have that lets you do this???? Oh my, I like SC here and stunning work! Hi There, Love your phhotos. They have a fresh look. As for my smoke, uggg! You need photoshop!!! LOL Seriously. Black solid background, sunny light works best, a flash ( not pointed directly on the smoke, i pointed mine up & reflected it down) ISO 100 F stop very low, shutter speed about 1/60. Now lots of photos. Gave it some clarity and darkened my black, played around with the levels & hue & saturation, cloned a little, deleted a few and moved my stick a little lower. Wooosh! It was my first time. I learned. Great photo! Love how you've isolated the color to the leaf!! 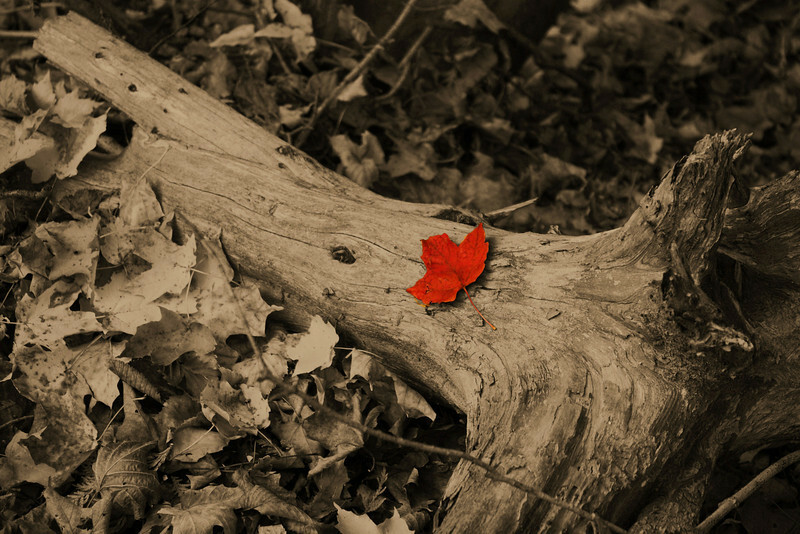 Really like the selective color and the isolation of the leaf. Very effective. Nice work.